This is my client Jomita. 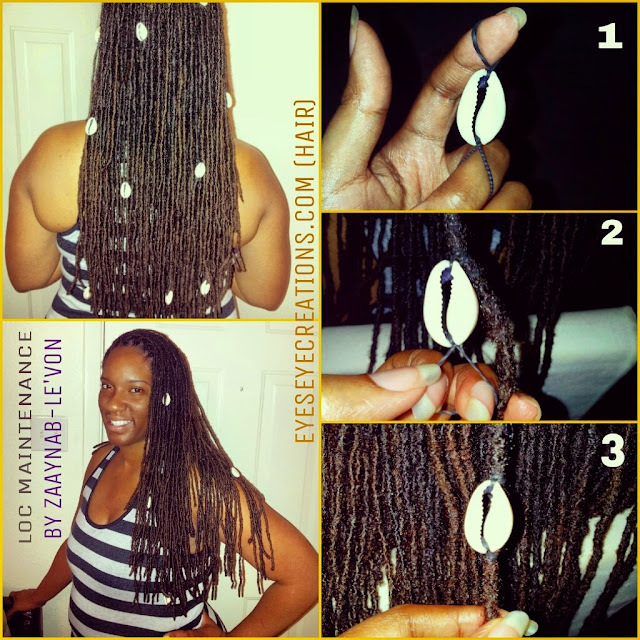 She wanted some Cowrie Shells in her locs so I used this installation technique. Sewing the cowries in is a good method but she gets her roots interlocked so if I had sewn them in it would have been a hassle to cut the thread to remove them each time she needed interlocking. With this double band technique the shells can be easily removed or repositioned, unlike the sewing method. These cowries were fairly large and she liked the finished look.